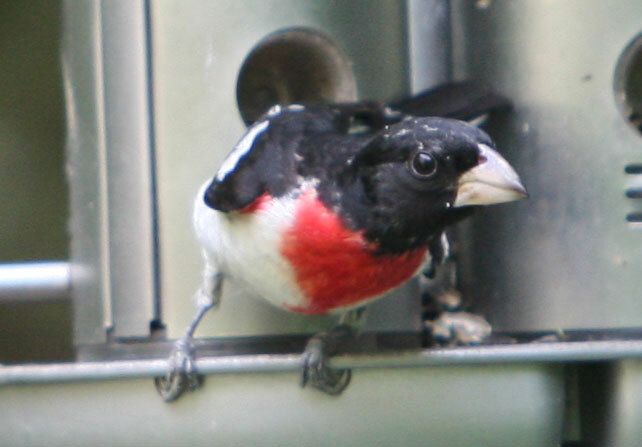 Rose-Breasted Grosbeaks show up in pairs. 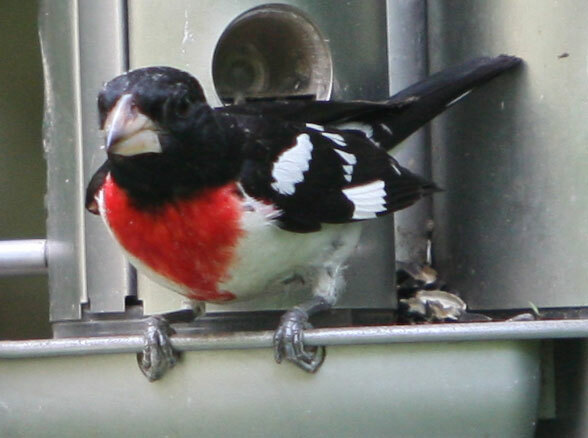 The male has dark black feathers with a rose breast. 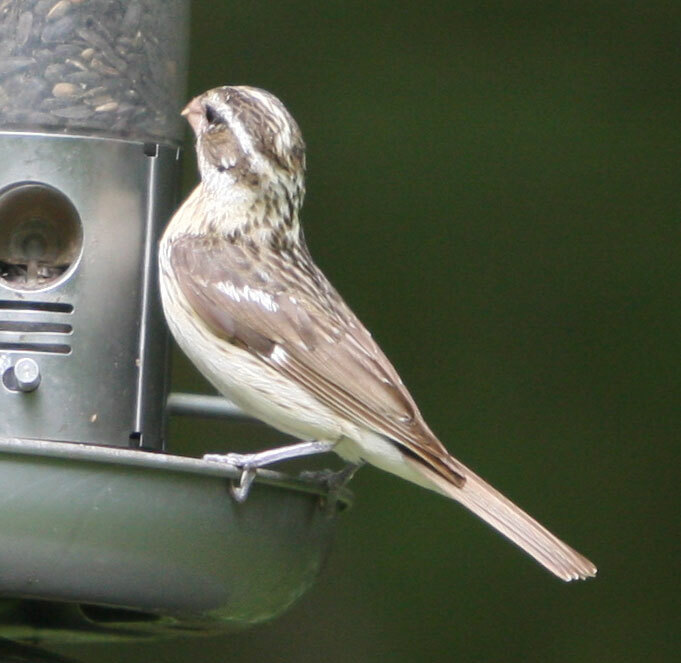 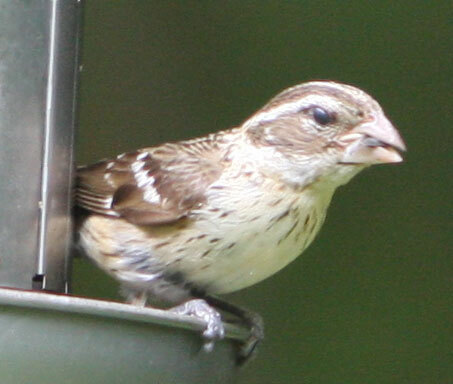 The female is brown and white striped and looks like a giant sparrow. 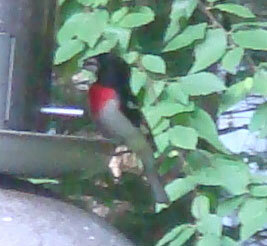 They love sunflower seeds. 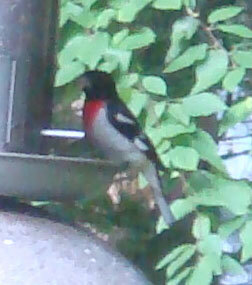 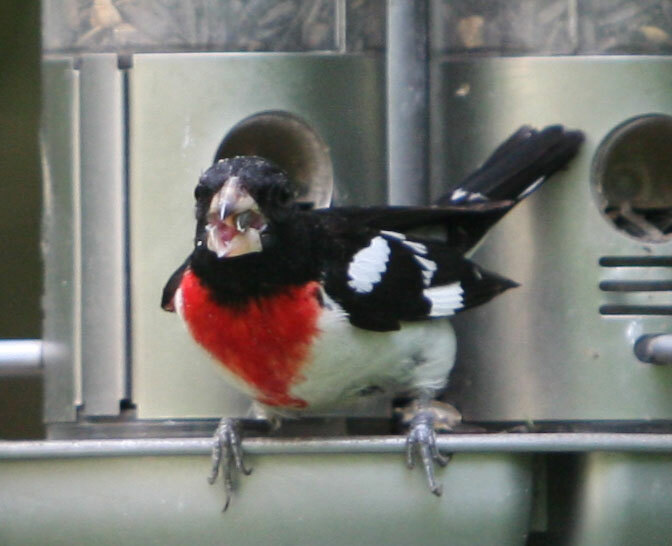 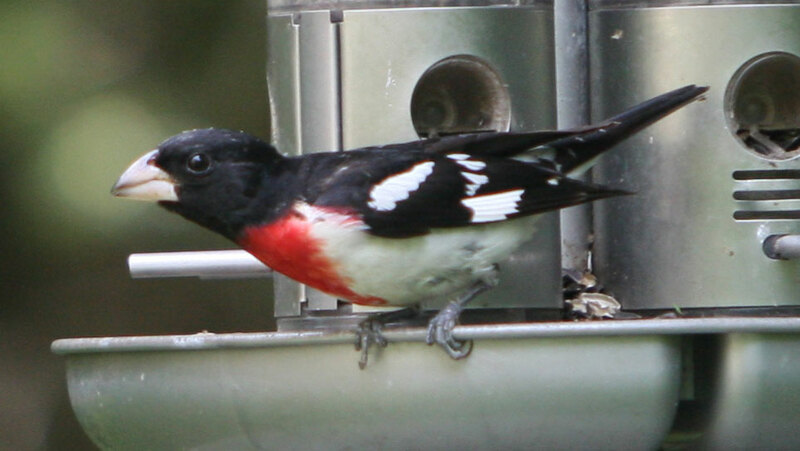 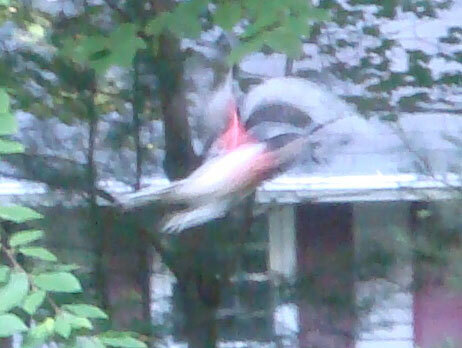 We primarily see grosbeaks in the summer months. 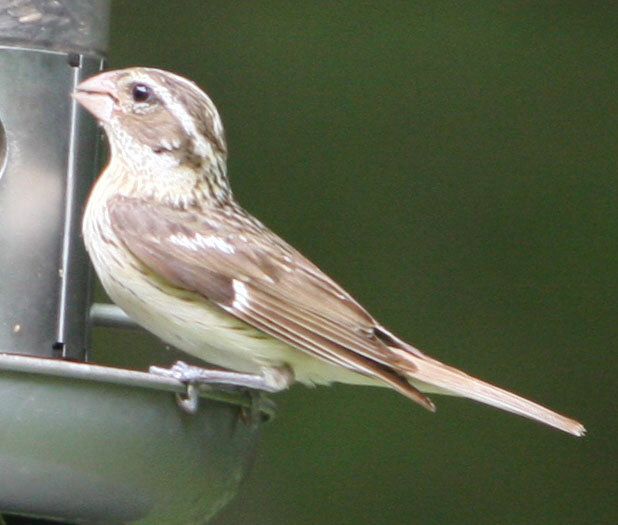 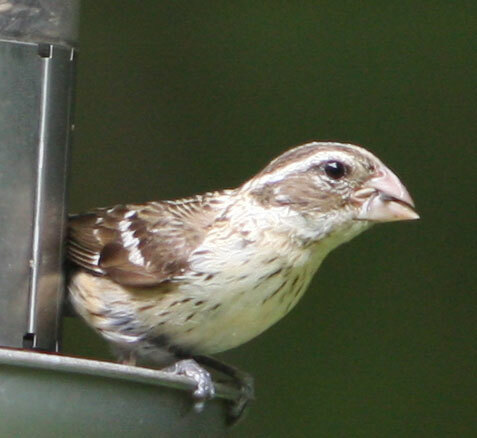 The photos below are of a female grosbeak.